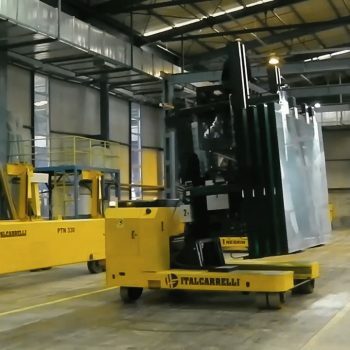 transporting the glass packs within the factory. 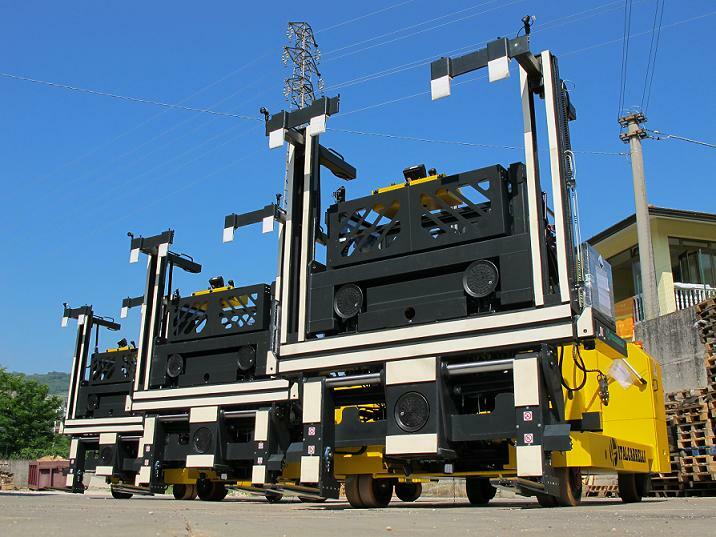 wheels for moving in all directions. 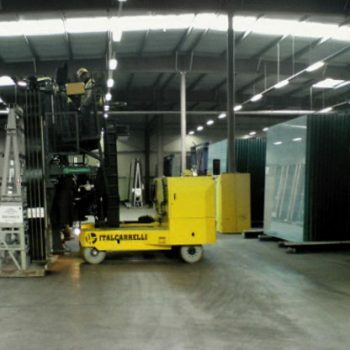 Versions with loading capacity ranging from 3 to 15 tons and more are available, which can transport all glass sizes, from DLF or LES sheets (about 3300 mm long) to jumbo sheets (6000 mm of length and beyond) and XXL jumbo sheets (over 9000 mm long). 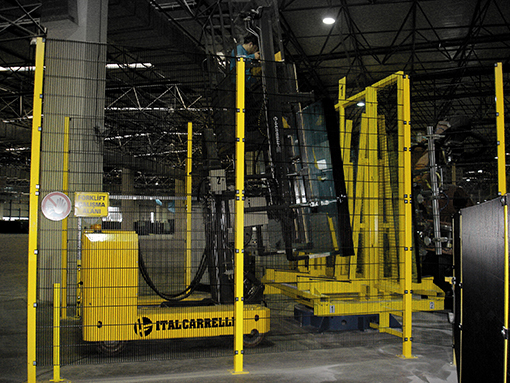 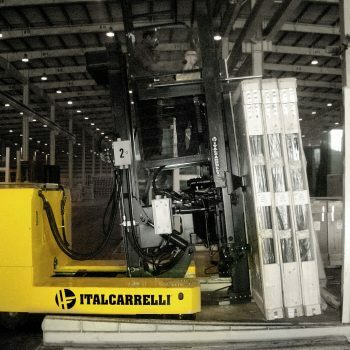 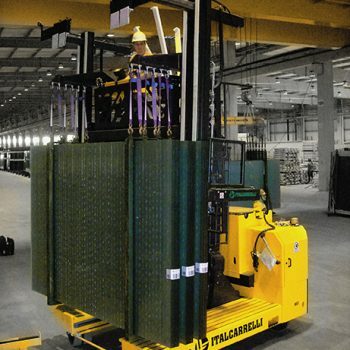 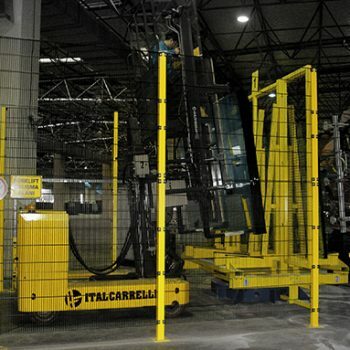 They are equipped with an innovative loading system by means of telescopic forks, which ease glass loading/unloading operations; moreover, thanks to optical and ultrasound sensors, it is possible to perform the alignment and adjustment of the forks according to the number of packs to be transported automatically. 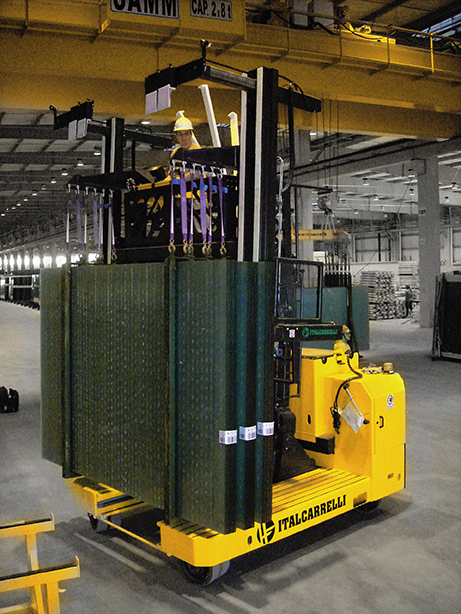 Thanks to this system, even the splitting operations (splitting of a single pack) are remarkably easier. 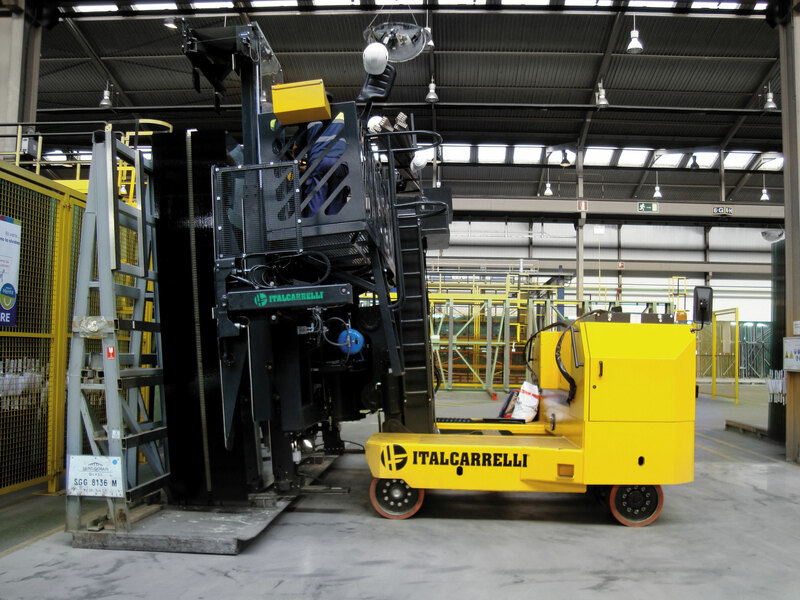 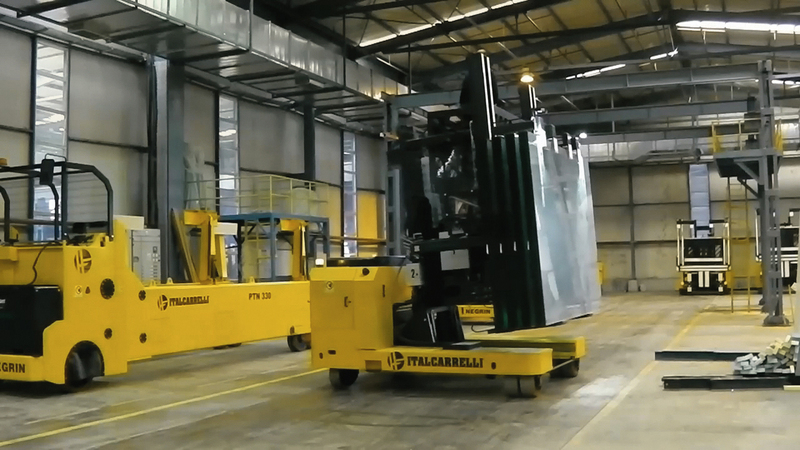 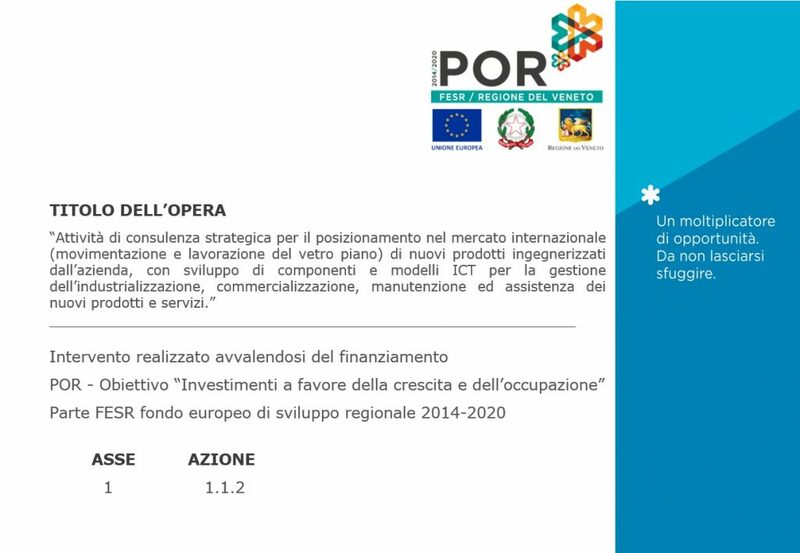 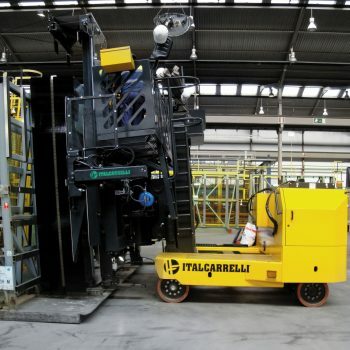 Driving positions can be of “standing” type with platform positioned on the upper part of the forklift to offer greater visibility to the operator or of “seated” type with cabin positioned on the chassis. 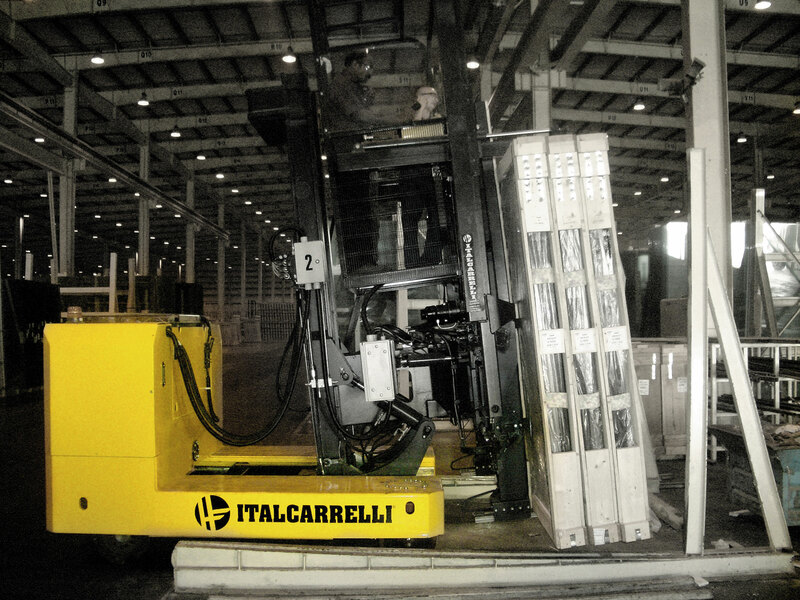 Control panels consist of a multifunction joystick and a touch screen to allow a simple and fast setting of the forklift. 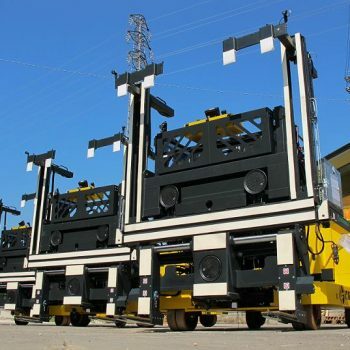 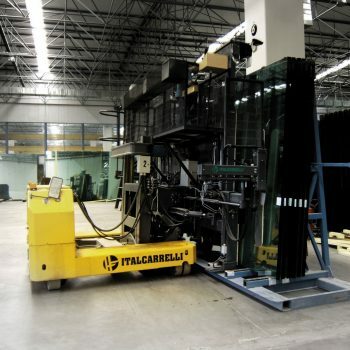 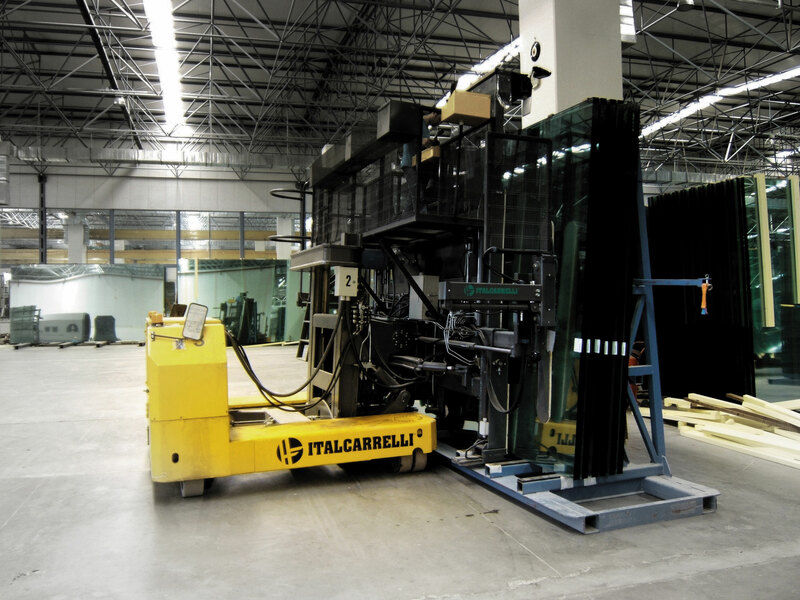 Optional devices are also available, such as video cameras, hydraulic fork positioning devices, suction cups for the clamping of the single sheets and adjustable height driving cabin to perform the loading of the glass inside trucks, without the need to remove the canopy.